Environmental performance is key for a successful business to maximize performance, minimize risk and engage with stakeholders. It is also a continuous journey – one where we need to be aware of and willing to adopt other measures to reduce overall environmental impacts. Our Senior Management want Saito to do their part in the battle to keep our nation green and reduce our carbon footprint, our staff appreciate working for a company who plays their role in caring for the environment and we partner with vendors who share our objectives. Enviro-mark Solutions is the leading provider of environmental certification in New Zealand. 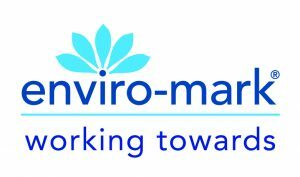 Since 2001, its programmes have ensured that New Zealand companies are benefiting from international best practice, applied science and effective tolls and Saito have partnered with Enviro-mark to ensure that we can accurately measure, manage and minimize our environmental impact. Saito have a committed team dedicated to championing our sustainability, and acting for a better environment, and with the full support of the Executive Team and Board, we are well on track for change, compliance and certification.